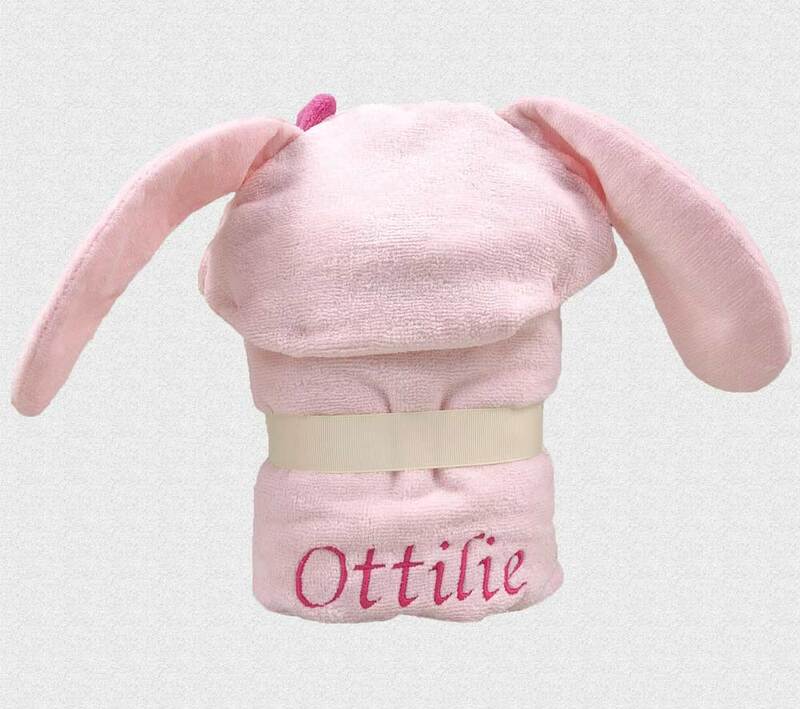 This Pink Bow Bunny hooded baby towel is made using the finest and super-absorbent 100% cotton terry towelling which stays plush, wash after wash.
For a really special touch, why not personalise your new Pink Bow Bunny baby gift towel with your choice of name beautifully embroidered on the back. 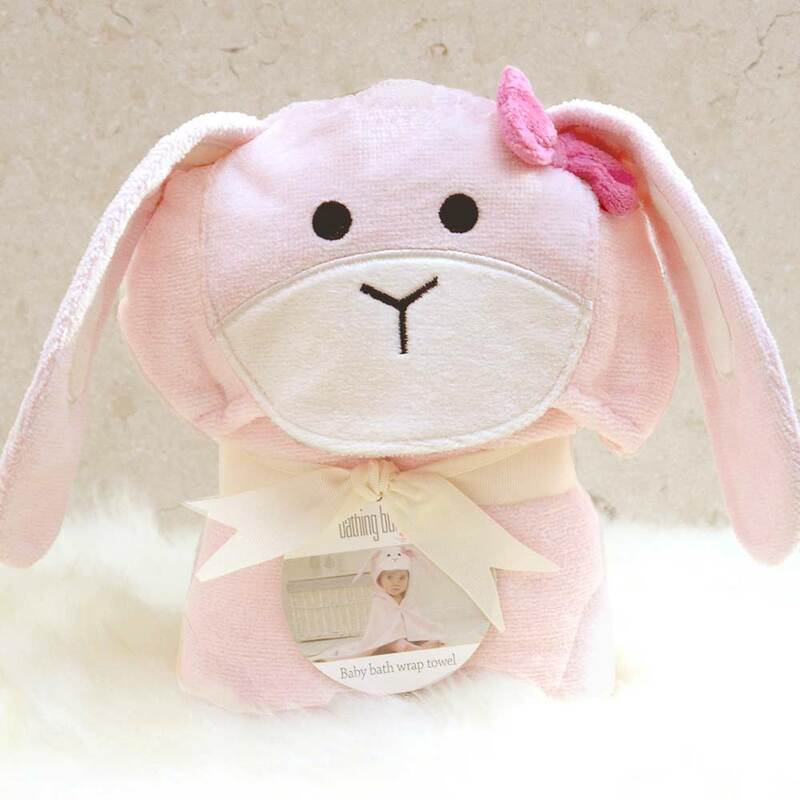 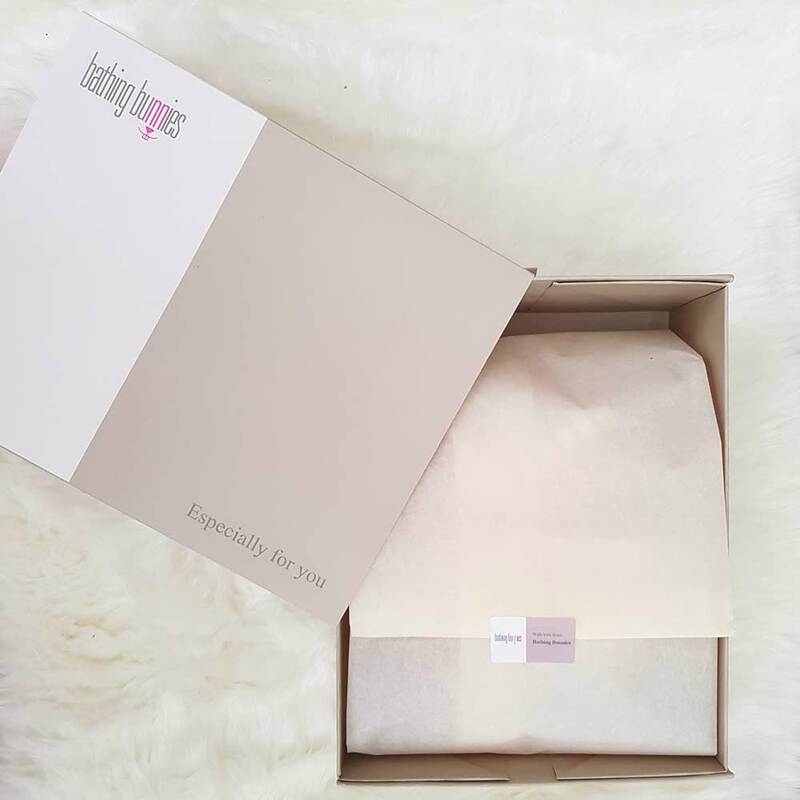 If you select the gift-wrap option, we will present this Pink Bow Bunny baby bath towel in a Bathing Bunnies gift box lined with tissue paper to create an extra special baby present. 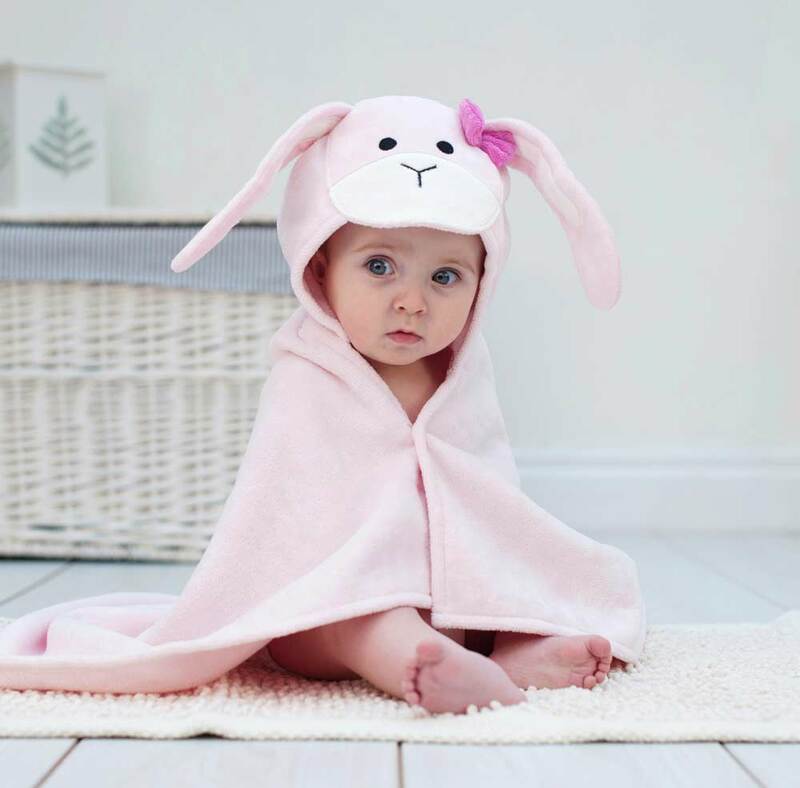 Cute just got cuter! 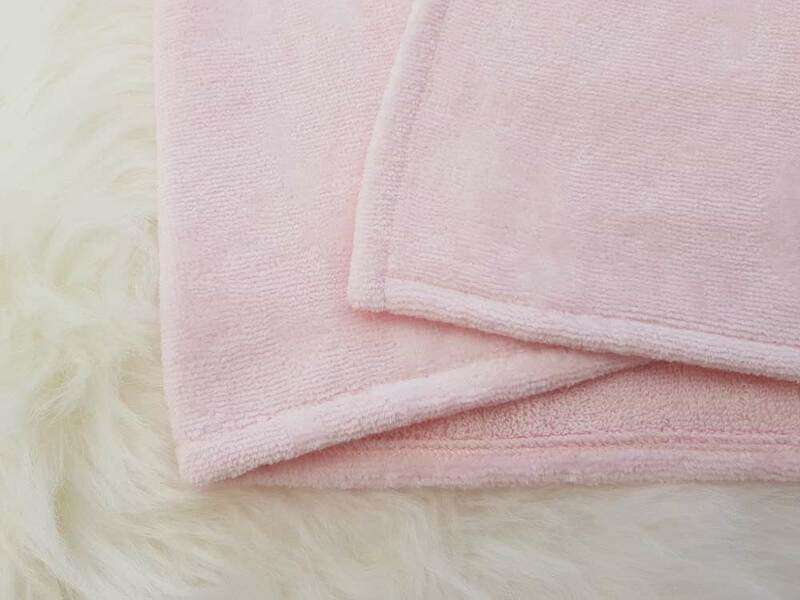 Introducing the brand new Pink Bow Bunny hooded baby towel. 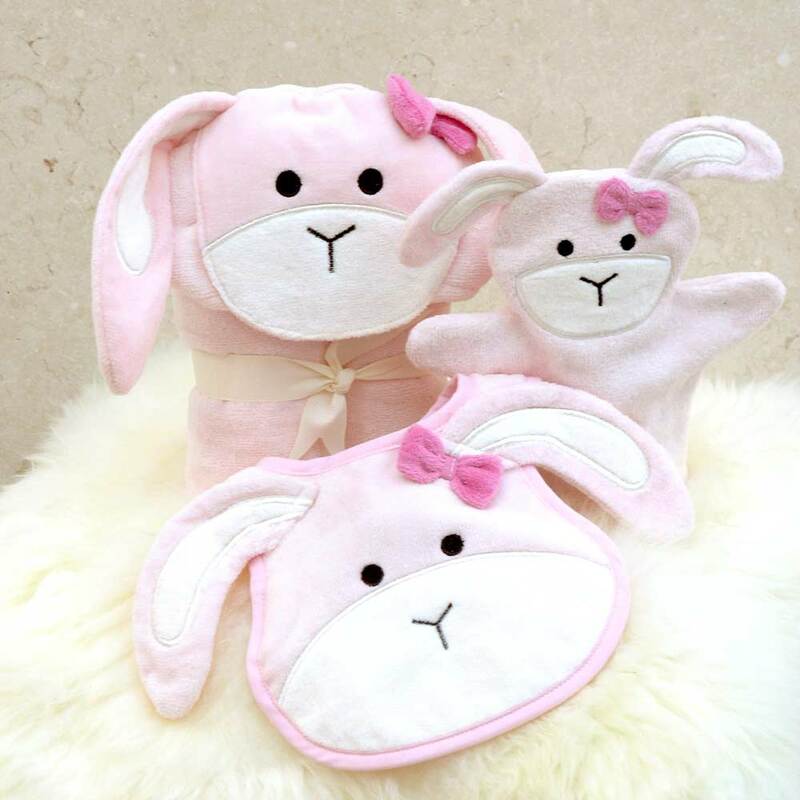 She joins our Bathing Bunnies 'family' of personalised baby gifts and is already hopping off the shelves! 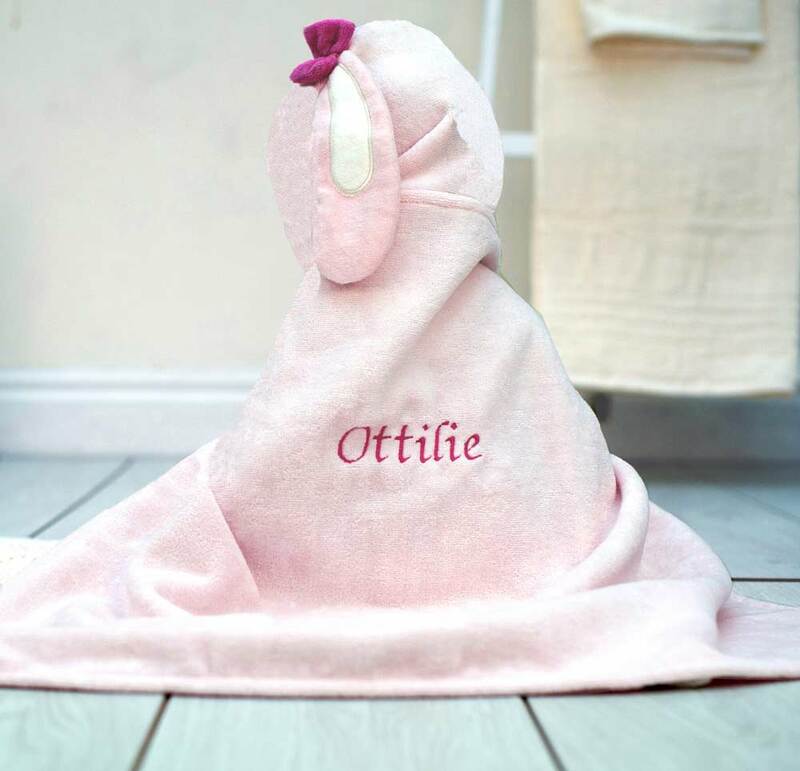 Hooded baby towels make the perfect baby shower presents and newborn baby gifts for christenings, birthdays and Christmas. 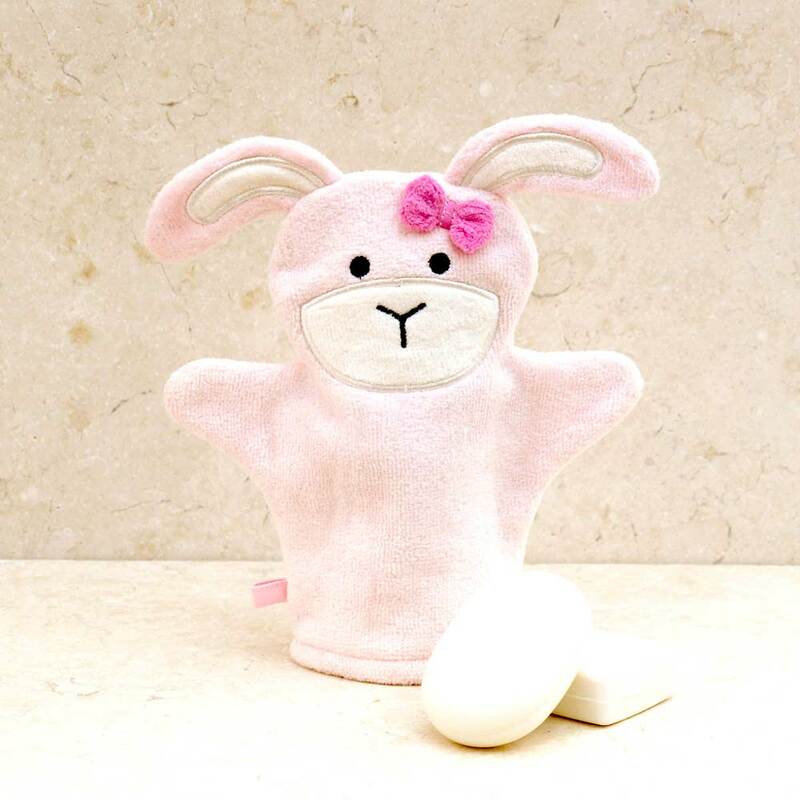 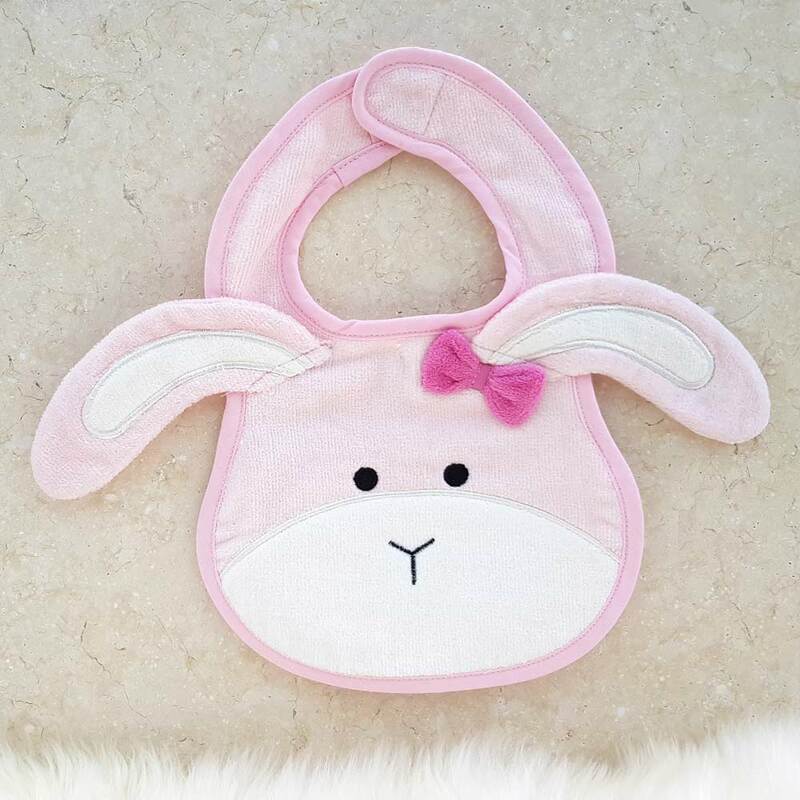 This hooded baby towel features a super cute baby pink floppy-eared bunny rabbit with an adorable dark pink bow on her ear - cleverly folded and beautifully presented with a cream ribbon to create a freestanding soft 'toy'.